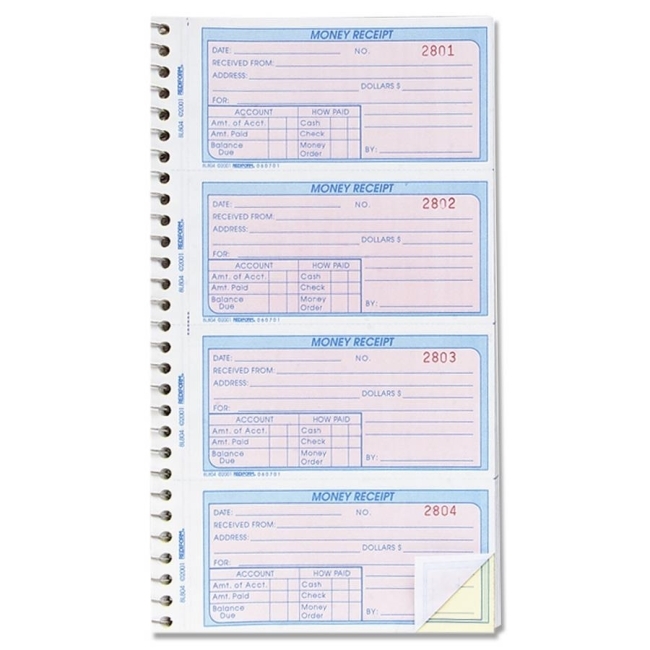 Wirebound manifold book with a flexible spiralbound cover contains carbonless receipt forms that are consecutively numbered in red. Each page contains four two-part forms with the originals in white and the duplicates in yellow. Duplicates feature black print. Security screen prevents alterations. 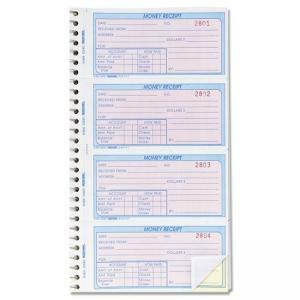 Each form includes a place for date, payment amount, name of payer, payers address, item description, and recipient name. A chart along the bottom breaks down the payment and includes boxes to fill in the amount of account, amount paid, balance due and payment method with preprinted boxes for cash, check and money order.